The UF Department of Anesthesiology supports resident participation in global outreach. 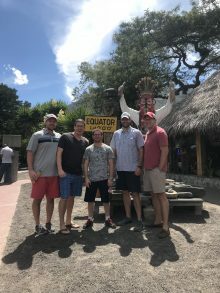 The department is currently developing new international rotation options for the coming academic year. 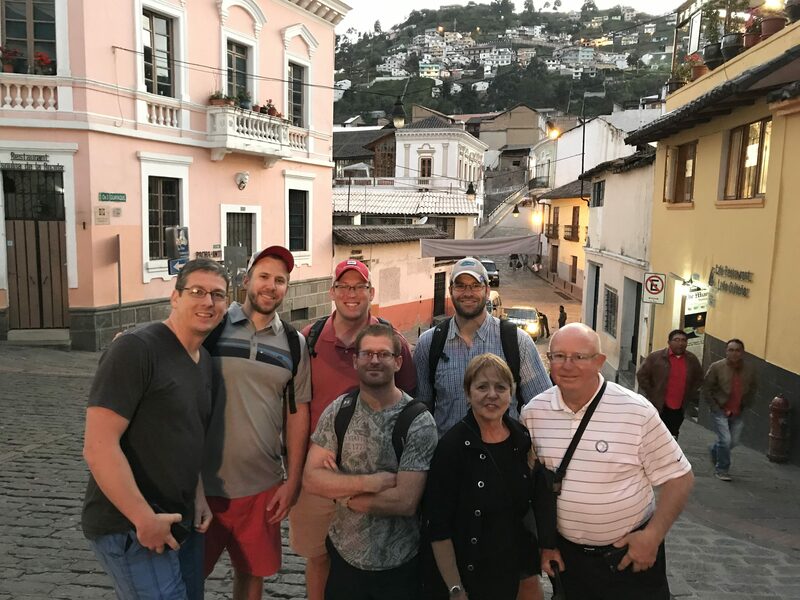 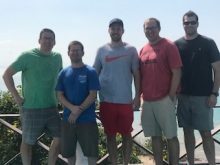 In 2017, a team of UF anesthesiologists left Florida and traveled to Portoviejo, Ecuador. 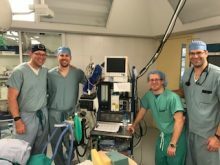 Their mission was to provide anesthesia for orthopedic surgeries for a week. 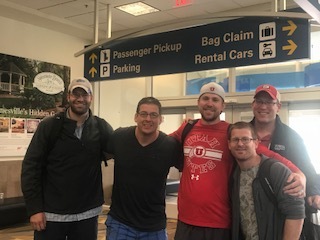 Sean Kiley, MD, and John Downs, MD, accompanied four residents – Mark Hotchkiss, DO, Spencer Hyde, DO, Jordan Miller, MD, and Scott Wasilko, MD – to the La Vida Surgical Center owned by Bayside Medical Missions. The center consists of a clinic in the front, two operating rooms, a post anesthesia care unit, and an overnight facility. The team worked all day Monday through Friday to meet the medical needs of as many people as possible, averaging six to eight cases per day. 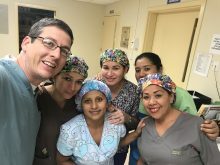 Working in these different conditions challenged the doctors to think on their feet and explore the dimensions of their medical skills. View our video on Facebook. 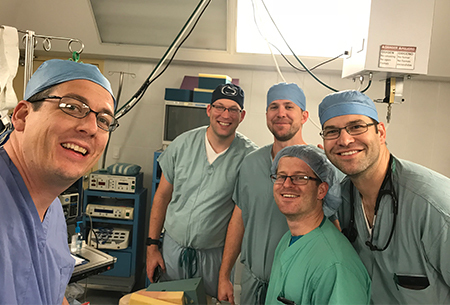 Assistant Professor of Anesthesiology Dr. Sean Kiley and fourth-year resident Dr. Jordan Miller discuss the obstacles they faced and the pleasure of surmounting these obstacles and helping people who would not otherwise have access to this medical care. 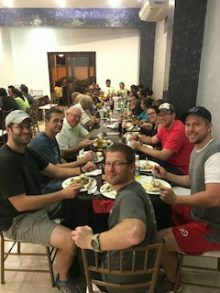 The team returned after successfully providing anesthesia for over 30 cases as well as doing some sight-seeing along the way.